ART | "M.C. 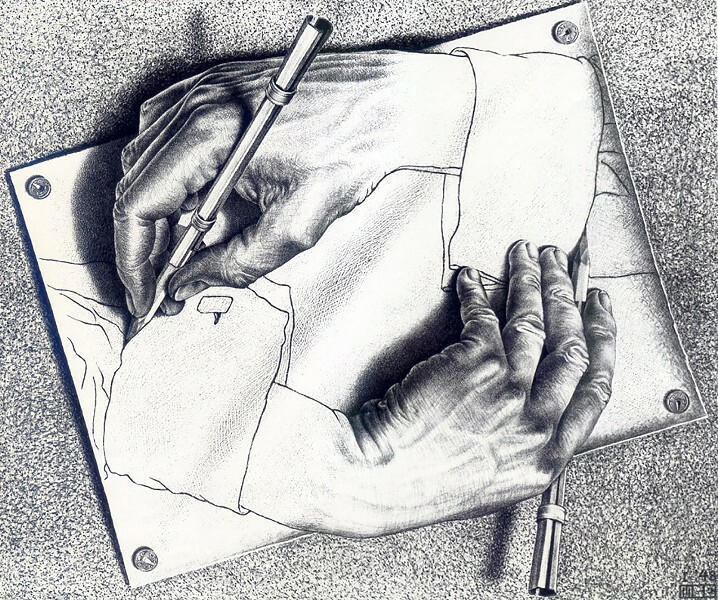 Escher: Reality and Illusion"
Dutch artist M.C. Escher combined his supreme grasp of mathematics and a wide-open imagination to create iconic, mind-bending work, which has had a lasting impact. You can catch his influence on album art and movie sets, including the final face-off scene in Jim Henson's 1986 film, "Labyrinth." (Yes, I can connect anything to David Bowie.) On Sunday, November 13, Memorial Art Gallery (500 University Avenue) will open "M.C. Escher: Reality and Illusion," an exhibit of 120 prints and drawings selected from the world's second-largest private collection of Escher's work. The show will feature work from his five-decade career, including early figure drawings, lesser-known book illustrations, detailed Italian landscapes, the "tessellations" that brought him lasting fame, and examples of his mind-bending, gravity-defying architectural environments. The exhibit continues through January 29, 2017. Gallery hours are Wednesday through Sunday, 11 a.m. to 5 p.m., and Thursdays 11 a.m. to 9 p.m. Admission is $5-$14 (free to members and kids age 5 and younger) except Thursday nights, when it's half price. For more information, call 276-8900, or visit mag.rochester.edu.